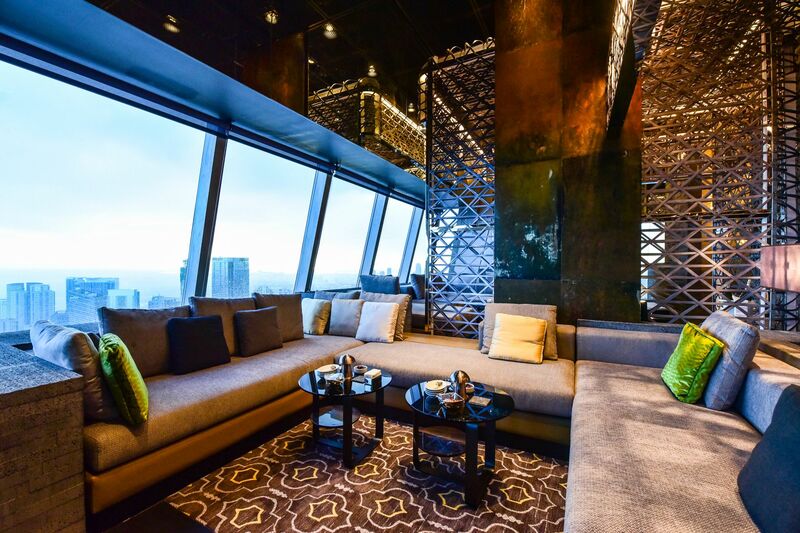 At the end of an ear-popping ride up to the Grand Hyatt Manila’s 60th floor is its latest concept, The Peak. The multi-faceted concept, however, doesn’t stop at the 60th. Inspired by “penthouse living,” one space flows seamlessly into, up to, and down to another as The Peak occupies the three top-most storeys of the sky-scraping 5-star property. Designed by Nao Taniyama & Associates, The Peak’s #grandliving pitch surely springs from its luxe yet cosy “penthouse” styling combined with its grandest of grand views of the Manila skyline, there’s a great deal more to experience beyond the comforts of home. The Grill, for starters, a stunning room stylised with a fancy open kitchen (a trademark of all of the Grand Hyatt’s F&B outlets) presents a classic menu—curated by Chef De Cuisine Manuel Baenziger— along with an extensive selection of old and new world wines. Cooler, dry months demand a table outdoors on the terrace! Depending on your preferred tipple, The Peak bar and the whisky bar impress with their fine wines and rare whiskeys; each being a distinct destination with their own unique experiences to offer. Indulge in Champers and a platter of oysters as the sun sets on The Peak bar’s au courant deck then move indoors for an Old Fashioned. Should an occasion call for a more exclusive and intimate setting, one is spoilt for choice what with not one, but two Whisky Private Rooms. Here, Benjamin Schertzer, manager of The Peak, will elegantly cater to your every whim. If live entertainment is more your speed, the music lounge headlined by international band, Legacy (six nights of the week) as well as top DJs will have you reporting to the dancefloor till the wee hours. For reservations and more details, call +632.838.1234 or email thepeak.manila.grand@hyatt.com. The Peak is located at the 60th to 62nd floor of Grand Hyatt Manila, 8th Avenue corner 35th Street, Bonifacio Global City, Taguig.